Neither Podemos, nor Popular Unity, nor the candidacies they jointly advance in Catalonia and Galicia provide a real alternative for workers and the people. 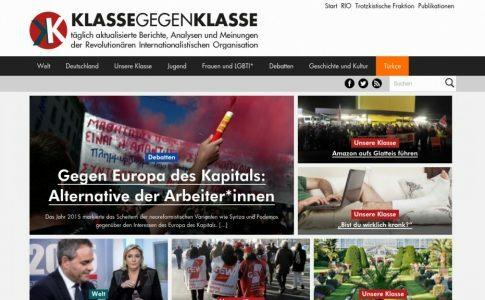 It is necessary to construct an anti-capitalist, internationalist and working-class alternative beyond the 20D. This is a translation of an article originally published in La Izquierda Diario on December 16, 2015. In the days leading up to the general elections in Spain (December 20th), polls have predicted a narrow win for the People’s Party (PP), followed closely behind by the Socialist Workers’ Party (PSOE) and the Citizens party (Ciudadanos – Cs). In the face of these representatives of the State and capitalism, neither Podemos , nor Popular Unity (formerly Izquierda Unida –IU), nor the candidacies jointly advanced in Catalonia and Galicia provide a real alternative for workers and the people. It is necessary to construct an anti-capitalist, internationalist and working-class alternative beyond the 20D elections. The recent debates have clearly demonstrated that—no matter how the chips fall during the elections—workers, women, and youth have nothing good to expect. The PP, PSOE, and Citizens Party all represent the direct interests of capitalists. They are in agreement with the continued implementation of austerity measures against workers and popular sectors during the next legislature, to comply with the demands of Brussels and the Eurogroup. In one way or another, they all support maintaining and renewing the decadent regime of 1978, which has been challenged by millions in the streets since the eruption of the 15M. While the PP and PSOE are plagued by corruption scandals, the Citizens party tries to present itself as the new, anticorruption, “modern” right. However, its deals with the PP – as in case of Madrid – betray this discourse as farce. Meanwhile in the economic and social terrain, Citizens defends the same neoliberal politics as those implemented by the PP and PSOE during all these years. The PP, PSOE, and Citizens comprise a large Spanish nationalist front against the right of self-determination of the people, especially the Catalans. They form a reactionary pact that has now joined the so-called “war against terrorism,” with the expansion of the “anti-jihadist pact” after the brutal Park attacks on November 13. Although none of the representatives want to get involved in this debate before the elections, all will support a greater intervention of the Spanish State in the European Union’s war offensive in Syria and the Middle East. There will be a hardening of internal repression and violations of democratic freedoms under the excuse of the fight against ISIS. Lamentably, in the face of the PP-PSOE-Cs trio, neither Podemos nor Popular Unity represent a real political alternative to the crisis of the regime of 1978. Instead, they posit themselves as its left wing, with reformist proposals that aim to revitalize the regime. In the case of Podemos, which is attempting to surpass the Cs and PSOE and take the podium, its declared “turn to the center” has led it to completely adapt to the rules of the game. If at some point Podemos moderately questioned the regime, now it directly celebrates it. This has been clearly revealed by numerous acts: the inclusion of General Julio Rodríguez, Zapatero’s former military commander, on its lists; the promise to respect the Spanish State’s commitments with NATO “to the very last comma”; and its defense of the 1978 Transition as a “democratic advance,” in which democratic forces (PSOE, PCE, etc.) struck a deal with the forces of Franco and facilitated the return of the monarchy. On the Catalán question , Podemos maintains a formal defense of the right to decide. However, it has made clear that, it will only support the legal and constitutional route—a dead-end path. Here, Podemos denies with acts what it promises with words. 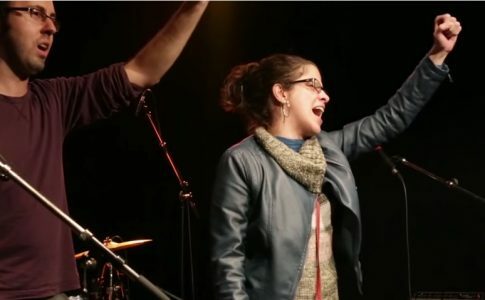 In Catalonia Podemos has joined a coalition with the ICV and EUiA, En Comú Podem, which seeks to present itself as defenders of a referendum, but does not differentiate itself from Pablo Iglesias (Secretary-General of Podemos) and his position that the independence process should remain within the same legal-constitutional framework that renders it impossible. Popular Unity, which many social activists consider an alternative to the left of Podemos, has only proven to a re-branding of Izquierda Unida in the elections. Although today it presents itself under the banner of “Popular Unity,” the Izquierda Unida is immersed in a profound internal political crisis. It has a record of deals with the PSOE, administering austerity cuts (ie., Andalucia or the three-party Catalán) as well as having several important cadre implicated in corruption scandals, for example, in the case of the “opaque cards” of Bankia. Podemos and Popular Unity (IU) refuse to denounce the role of the labor bureaucracy, with which they co-exist. In some cases the two political parties even add labor bureaucrats to their lists as electoral candidates. The bureaucratic caste firmly planted in the seat of the trade unions has, since the beginning of the crisis, played a key role in containing, isolating, or directly betraying workers’ struggles, as we saw in the cases of Panrico, Coca-Cola, and Movistar. Surely, these elements form a disastrous path that has undeniably contributed to the retreat of social mobilizations and fed illusions that “change” can come through electoral and parliamentary means. This attitude alone signals that neither Podemos nor Izquierda Unida propose to fight seriously against the cutbacks and attacks on the living conditions of workers and the population. As if there were any need for further evidence, we can recall the scene of Pablo Iglesias embracing Tsipras after Syriza’s capitulation to the Troika. Iglesias claimed that those events, which signaled a great defeat for the Greek people in the absence of a real fight, prove that “there is no alternative” possible to the dictates of the Troika. Needless to say, he would also be willing to cede to the same powers if he reaches La Moncloa (Spanish presidential palace). 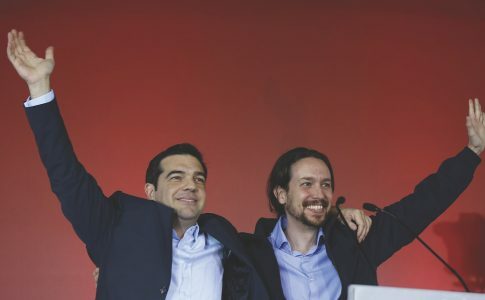 Syriza’s bankruptcy, which in the course of a few months has transformed into the governing applier of pension cuts, privatization, and austerity measures against the working class, demonstrate the failure of reformist alternatives like Podemos and Izquierda Unida. Despite their radical posturing, both formations propose a neo-Keynesian program of moderate reforms and a strategy of occupying spaces within the institutions of capitalist democracy, denying class struggle and generating false illusions that it is possible to “humanize” capitalism. Furthermore, both parties have been part of the so-called “citizen slates” of municipal governments. In the regions where they run candidacies together, as in Catalonia, figures like Ada Colau have fully engaged in the campaigns. However, in the months that followed since the reconfiguration of these municipal governments, we are seeing how the new mayors have abandoned a good part of their program, including the demand to bring services back to the municipal jurisdiction and have maintained racist policies such as the persecution of street vendors (“manteros”) in Barcelona. 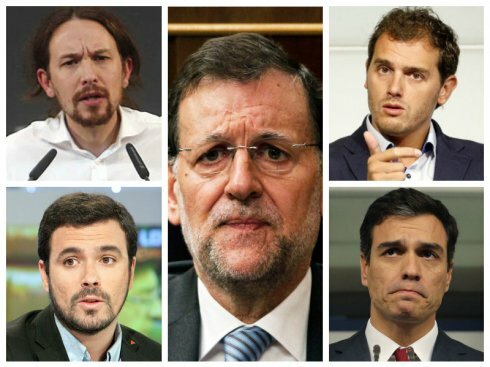 For these reasons, we, the Clase contra Clase, can not give our political support to Podemos of Popular Unity in the 20D elections. There is no anti-capitalist class alternative in these elections. We call for a null vote – blank or abstention. We are conscious that many compañeras and compañeros with whom we share daily struggles against the attacks of bosses and the government will vote for Popular Unity or Podemos. This will not impede our continued development of the united front in the streets, workplaces, and schools. Beyond the 20D elections, we should prepare ourselves to confront the new cuts that will come and the deceiving solutions cooked up by representatives of the ‘78 Regime. However we also need to advance a real anti-capitalist political alternative for workers, women, and youth. We, the members of Clase contra Clase, have pointed out the need to advance the regroupment of all those who defend an anti-capitalist, internationalist and working-class program, aimed at solving the most severe social problems and addressing the democratic demands expressed in the streets since the 15M (indignados largest demonstration), from the denouncement of the political caste and corruption, to the end of the monarchy and the right to self-determination of the nationalities, beginning with Catalonia. This regroupment should be an alternative to the reformist projects of Podemos and Popular Unity, putting the stress on the class struggle, on strengthening the organization and mobilization of the working class, women and youth to fight the austerity to come after 20D and kick the bureaucracy out of the unions. We stand for the right to self-determination without giving any blank check to political representatives of the Catalan bourgeoisie and for a strategy of working-class political independence. Our immediate tasks include the creation of an anti-war movement, against the anti-democratic offensive and racist policies against immigrants and refugees. 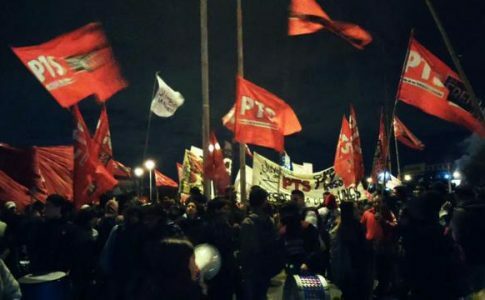 In the face of the political bankruptcy of neo-reformism – as we’ve seen in Greece with Syriza – this political regroupment should take up the experiences of anticapitalist revolutionary left such as the Left Front in Argentina. We should ultimately advance a program that makes capitalists pay for the crisis, and fight for a real constituent process through the mobilization of the people on the ruins of the ‘78 Regime, opening the way to a workers’ government. In Málaga on November 28, a meeting took place among members of Clase contra Clase, organizations like IZAR, Andalucía desde Abajo and dissident sectors within Podemos. The attending parties voted to call a second meeting to take place in Madrid in February to discuss the programmatic, political and organizational aspects of a new “anticapitalist alternative to the crisis and the attempts of regeneration of the ‘78 Regime.” This is an important step in the right direction.